What Does that Dental Professional Do? When it comes to oral health professionals, there are a lot of different types of specialists out there. For the average patient, it can be confusing to figure out what type of oral care professional they actually need. For those who are confused about what these dental specialists do, here’s a closer look into the world of oral health professionals! An orthodontist is probably the most easily recognized type of dental professional besides a dentist. Orthodontists are dentists who receive additional training to learn how to straighten the teeth and correct the bite using orthodontic devices, such as braces, expanders and retainers. Many dentists offer orthodontic services, but most orthodontists do not offer dental cleanings and exams. An endodontist is a dental professional most people really don’t want to have to see. The endodontist specializes in what is considered one of the scariest dental procedures: the root canal. Thankfully, a root canal sounds a lot scarier than it really is; in fact, it’s not scary at all, especially at the hands of a skilled dentist or endodontist. Endodontists are truly experts in root canals, receiving years of additional training just on that one procedure. A periodontist specializes in the care and treatment of the gums. If you are diagnosed by your dentist with periodontal disease or another gum infection, you may be referred to a periodontist for further treatment. A periodontist may also treat gum recession and perform gum-grafting surgical procedures. A prosthodontist specializes in treating dental and facial problems that result from missing teeth. Prosthodontists receive an additional three years of dental training beyond dental school. Prosthodontists specialize in dental implants, dentures, crowns, bridges and any other prosthetic teeth that help restore the shape of the face and the function of the teeth and mouth. A maxillofacial surgeon works with the soft tissues of the face and jaw, including the gums, lips, cheeks and other surrounding muscle and tissue. Maxillofacial surgeons can perform a variety of dental surgeries, including tooth extraction and cleft palate procedures. Here’s an interesting fact: Maxillofacial surgeons are the only medical professionals who can provide every possible level of sedation besides actual anesthesiologists! 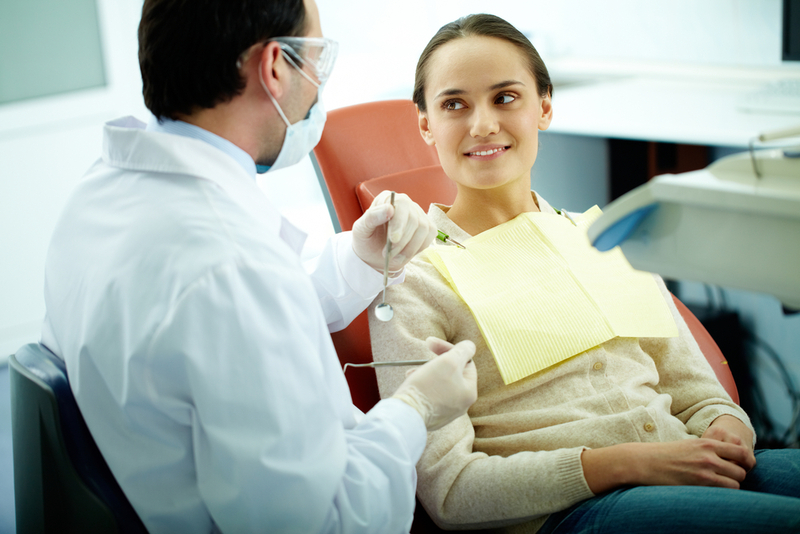 Dentists provide cleanings, dental exams and even minor surgical procedures. Hopefully your dentist is the only dental professional you will ever need, but if you’re concerned about any dental issues, your dentist is a great first stop to have it checked out. If your dentist can’t cover it, she will refer you to a qualified specialist who can. To schedule an appointment with Dr. Lesko for a cleaning or for any other concerns you may have, please call 970-812-0355. Clicking, popping and stiffness. Headaches, backaches and tinnitus. Soreness and an immovable jaw. These are the signs of the debilitating condition temporomandibular joint disorder, and believe it or not, what you do and don’t eat can make the symptoms feel a whole lot worse. Whether you are one of the estimated millions of sufferers of temporomandibular joint disorder or you just experience occasional jaw stiffness or soreness, here are a few foods you may want to consider avoiding to help alleviate jaw pain. With the popularity of low-carb and Keto diets, jerky is making a comeback in a big way. But unfortunately, tearing that dehydrated meat with your teeth is a recipe for disaster when it comes to temporomandibular joint disorder. If you’ve been indulging in this high-protein treat and are experiencing increased jaw pain or temporomandibular joint disorder symptoms, it may be time to put the jerky on hold for a while and find an easier-to-chew snack. Gum drops, gummy bears, gummy worms, fruit snacks – they all have different names, but when it comes to consuming these sweet treats, the effect on your temporomandibular joint disorder is usually the same. 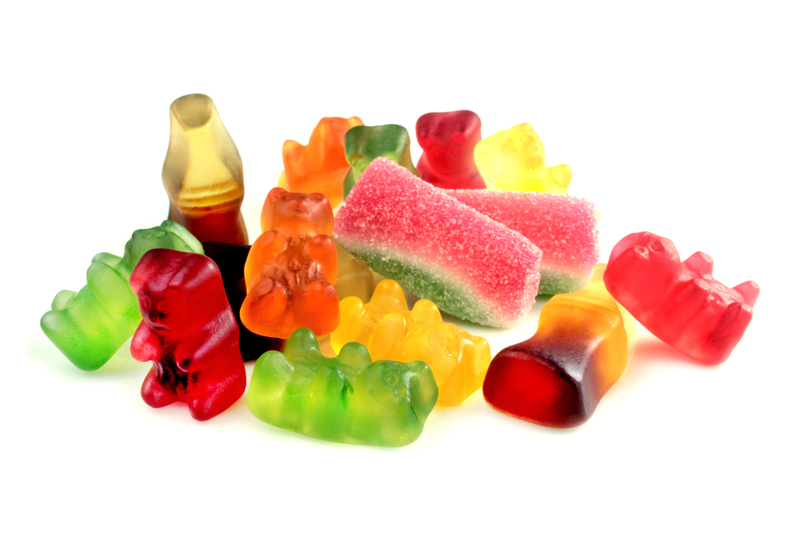 Because of the chewy nature of these snacks, they can really worsen jaw pain, even if they don’t seem like they are hurting you at the time of consumption. If you have temporomandibular joint disorder or jaw pain, pass on the gummies and stick to fresh fruits instead. Sure, they’re a delicious way to kick a salt craving, but chips and pretzels can often be a bit too crunchy for some jaws – especially those with TMJ disorder or general soreness. If you really want to crush that crunch craving, stick to something softer like celery or crackers. We feel bad advising you to avoid carrots, because these tasty little root veggies are so good for you. So we won’t flat-out suggest you avoid them all together. If your jaw is acting up and you still want carrots, try eating them steamed or opt for their softer counterpart, baby carrots – cut into small, bite-sized pieces. While some varieties of granola can be very soft, other kinds can be really crunchy – and really tough on your temporomandibular joint. If you are experiencing jaw pain and can’t quit your granola habit, try mixing it with milk or yogurt to soften it up. You’ll get the same great taste but without the jaw workout. To learn more ways to better manage your temporomandibular joint disorder, please call Dr. Allison Lesko’s office at 970-812-0355. Brushing your teeth twice a day for a minimum of two minutes is a necessity of life – but what you choose to brush with is becoming more and more open ended. With so many options flooding the marketplace, it can be difficult to know if the paste you’re considering is a good option. Here’s what you should know about some popular and up-and-coming toothpastes. Designed to solve the problem of toothpaste tubes sitting in landfills, one of the newest oral health inventions to hit store shelves are toothpaste tablets. These tiny tablets activate with saliva and require no water. Simply crunch on the tablet and it dissolves into a foam that you use to brush your teeth. Brush for two minutes as usual, spit and voila! Clean teeth. As for how the toothpaste tablets help the planet, they come in small, recyclable jars that, unlike traditional toothpaste tubes, reduce the carbon footprint of brushing your teeth. 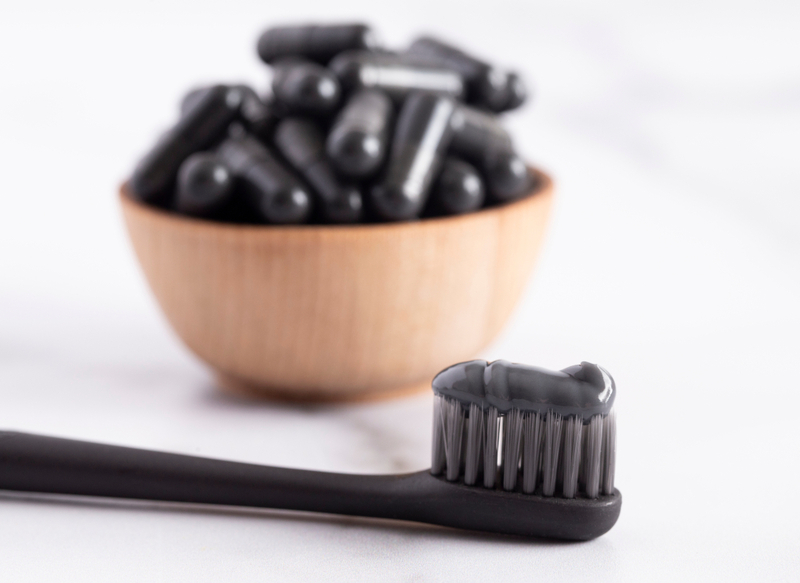 Charcoal toothpaste is toothpaste made with activated charcoal that claims to whiten teeth and work as well as regular toothpaste. The only problem is, the American Dental Association says there’s not enough data to tell if charcoal toothpaste is safe or effective. What’s more, it carries with it a high risk of damaging both the gums and the tooth enamel. And, it doesn’t really whiten the teeth – it just reduces surface staining, something that any ADA-approved whitening toothpaste can do, without the risk of enamel and gum damage. Homemade baking soda toothpaste isn’t exactly a new invention, but it does work in a pinch if you’re out of paste or averse to strong flavors. The problem with using this type of paste regularly is that it’s missing one vital ingredient: fluoride. That being said, if you do need to make a makeshift baking soda paste, just mix 2/3 cup of baking soda with water until you reach the texture of paste you want. Then just brush as usual! If you decide you’d like to use baking soda toothpaste all the time, speak with Dr. Lesko about supplementing your fluoride. There are many new designer “all-natural” toothpastes on the market these days, and most of them are perfectly safe. If you are interested in trying one of these pastes, just make sure it carries the ADA seal of approval – and happy brushing! Pancreatic cancer is comparatively rare, with only 2 percent of cancers diagnosed each year occurring in the pancreas. Unfortunately, despite its low numbers, it is the fifth highest cause of cancer death worldwide and the fourth leading cause of cancer death in the United States alone each year. The five-year survival rate of pancreatic cancer is under 5 percent. 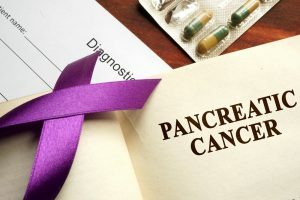 Even more troubling, it seems to affect African Americans more commonly than any other demographic (pancreatic cancer rates are 50 to 90 percent higher in African Americans), a fact that has researchers scratching their heads. Worse still, among those diagnosed with pancreatic cancer, African Americans have a disproportionately grim prognosis for the illness due to late diagnosis and inadequate treatment. But now, a new link between pancreatic cancer and oral health has emerged, and it could help shed some light on this devastating illness. According to a recent study, African American women with poor oral health are more likely to develop pancreatic cancer than African American women with excellent oral health. Though there are many theories behind this information, researchers believe it is due in no small part to the periodontal bacteria that could be responsible for the oral hygiene problems. Dr. Allison Lesko is a dentist in Fort Collins, Colorado. She says studies like these are just beginning to shed light on how dangerous periodontal bacteria really is. “Emerging research is showing us that periodontal bacteria is responsible for everything from diabetes to heart disease, and now pancreatic cancer,” she says. Other factors contributing to pancreatic cancer’s prevalence in the African American community include factors such as income disparity. The African American population has historically been less likely to have health insurance than other racial groups, which means these patients may be more likely to put off seeing a doctor or dentist because of cost. According to Lesko, another factor that could contribute to the higher rates of pancreatic cancer in the African American community is higher rates of smoking, which has been found to not only cause tooth loss, decay and periodontal disease, but also has been proven to both cause and worsen various forms of cancer. “It is estimated that about 25 percent of all pancreatic cancer cases are caused by cigarette smoke alone,” says Lesko. Furthermore, the African American community is disproportionately affected by another illness: type 2 diabetes. Studies have shown that type 2 diabetes increases the risk of pancreatic cancer. In fact, it is estimated that up to 80 percent of patients with pancreatic cancer either have long-standing type 2 diabetes, newly developed type 2 diabetes or impaired glucose tolerance. So, what can be done to help reduce these numbers? According to Lesko, it’s a whole lot of preventative measures. 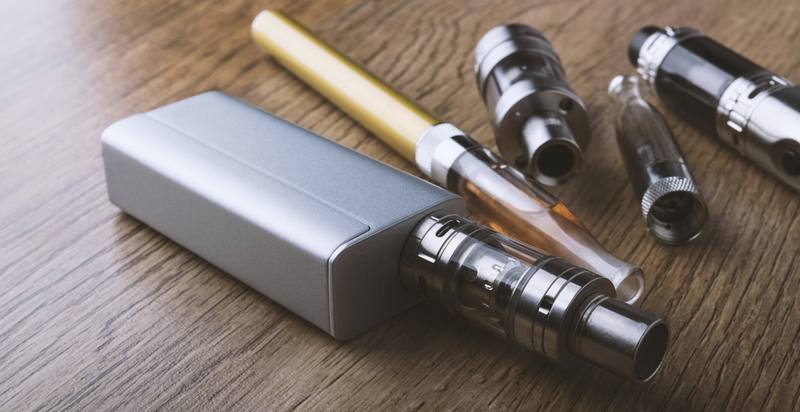 If you haven’t heard by now, preliminary reports are in, and while smoking e-cigarettes, or “vaping,” may be safer than smoking traditional combustible cigarettes, it has not been proven safe, either. Worse yet, it has been found dangerous to one rapidly increasing demographic: teens and children. Here’s why parents of teens should be wary about the so-called safer alternative to smoking. Last year, when a new type of e-cigarette hit the marketplace, many parents didn’t think much of it. Maybe that’s because the Juul doesn’t look like much more than a USB thumb drive. But that’s certainly not what it is. Designed to deliver more nicotine per vapor pod than traditional cigarettes and even some e-cigarettes, Juul has now cornered about 70 percent of the e-cigarette market. The brand, which is owned by Marlboro, claims its goal is to help traditional paper cigarette smokers quit – but the tantalizing fruit flavors are having the opposite effect among teens. 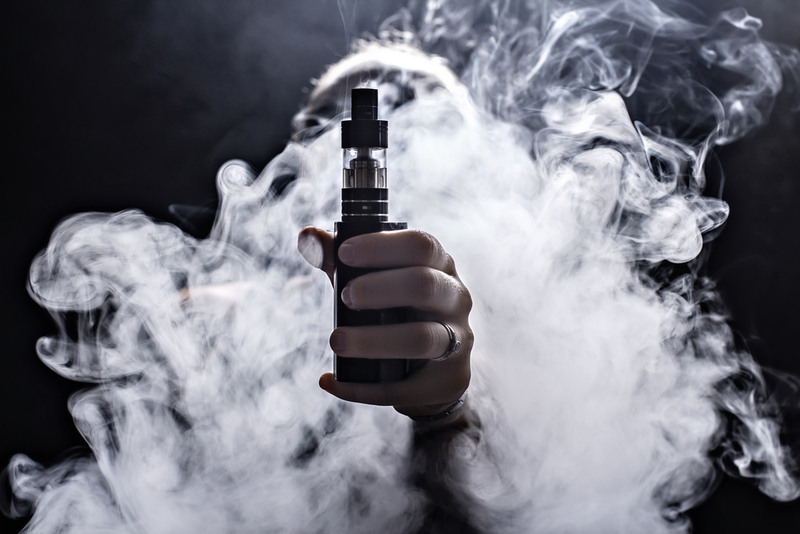 “We are finding that teens are attracted to the sweet flavors of these vaping fluids,” says Dr. Allison Lesko, a dentist from Fort Collins, Colorado. Unfortunately, contrary to what Juul claims its intentions are, many of these teens are not trying to quit smoking, but are first-time smokers, becoming newly addicted to high levels of nicotine, often as high as a pack of cigarettes in one serving. “It has become a real health epidemic,” says Lesko. Thankfully, some states are taking notice. California, for example, is pushing to ban the sale of all flavored tobacco and vaping fluids. They would still sell the e-cigarettes themselves, but not the chemicals to use in them. “Californian lawmakers recognize how popular these vaping fluids are among teens and are working to help stop the problem,” Lesko says. And while some may see the move as government overreach, Lesko and other health professionals point to the facts. In fact, the data shows two-thirds of children who begin smoking at as young as sixth grade will become regular adult smokers, and nearly half of 11th-grade smokers will follow the same path. Worse still, e-cigarette smoking is increasing among teens and children, not decreasing – and that includes accidental poisonings from vaping fluid. “Even children who only smoke once a month increase their risk of addiction 10 times,” Lesko says. So, what’s a parent to do? Fort Collins-based dentist Dr. Allison Lesko says that’s because while e-cigarette vapor is definitely healthier than inhaling smoke, it’s the chemicals in e-cigarette fluid that pose the real risk. “The problem is, we just don’t know what those chemicals are doing,” says Lesko. That’s down to several reasons – one main one being vaping fluids vary by manufacturer. “There’s very little consistency or clarity about what’s in each individual flavor of vape fluid,” Lesko says. Another problem? Lesko says, unlike with traditional cigarettes, there are simply no long-term studies yet. And therein lies another problem: the word “safer.” While manufacturers are deliberate with their use of the word, consumers may not be hearing that “r” at the end. That’s because not only do we not know what the long-term effects on the smoker are, but we also don’t know what the long-term effects on second- and third-hand smokers are, either. That falling to nearby surfaces poses yet another risk to anyone who touches those surfaces – including other adults, pets and, yes, children too. As for the solution, Lesko and other experts agree: To make vaping truly safe, don’t do it – but if you must, treat it as you would smoking traditional cigarettes. “Don’t vape in the house or car or around children. Treat it as you would regular second-hand smoke,” she says. The energy drink market is booming in the United States, with over $20 billion in sales annually (that’s over 29 billion gallons of energy drink!). But at least one fewer consumers in the United Kingdom will likely be drinking the potent beverages after the damage he says they caused to the inside of his mouth. The man, Dan Royals, is a teacher who, like countless others, relied upon energy drinks for a quick pick-me-up. By his own estimates, Royals claimed to drink upwards of six energy drinks a day. But all that stopped when Royals says he noticed the flesh on his tongue being “eaten away” by the drinks. Royals, who also smokes, says he takes care of his oral hygiene but does not believe the damage to his tongue was caused by smoking. Energy drinks claim to pack a wallop of energy without having to rely on traditional caffeine like coffee or soda. Touted as healthier alternatives, these beverages are full of sugar and caffeine, too. Worse yet, they are often highly acidic. Dr. Allison Lesko is a dentist from Fort Collins, Colorado. She says all that acid can be bad for not just the tongue, but the teeth, too. 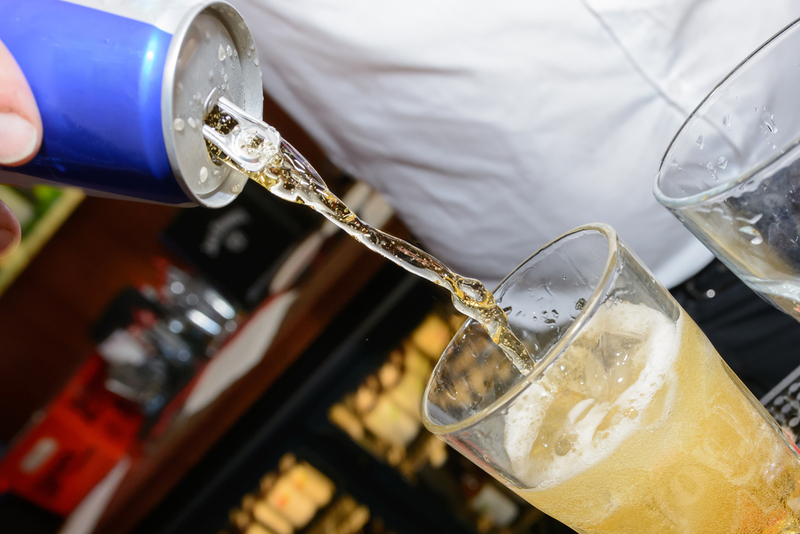 “The acid found in energy drinks can often be higher than the levels found in coffee and soda, and that can easily cause excessive damage and wear to tooth enamel,” she says. As if that weren’t bad enough, recent studies have shown that when mixed with alcohol, energy drinks increased instances of impaired judgment such as the desire to drive while intoxicated. Studies from 2007 and 2011 have even linked energy drinks to an increased number of emergency room visits by persons who consumed the beverages both with and without alcohol or other substances. Worse yet, the market for energy drinks is largely unregulated, despite the beverages’ growing popularity – especially among young people and millennials. Some data suggests that a full 61 percent of millennials indulge in these peppy drinks from time to time, a move experts believe is due in no small part to many millennials trying to stick with “all-natural” products. If you really can’t quit your energy drink habit, Lesko says there are ways to limit the amount of damage they do to your teeth. For the estimated 3 million Americans who are diagnosed with the debilitating illness known as Alzheimer’s disease each year, tragic symptoms like dementia and memory loss are a way of life. Categorized as a progressive brain condition that causes patients to lose their memory and a variety of other mental capabilities, the disease – and its possible causes – is in many ways still a mystery to scientists. But a new study from the journal Science Advances has yielded some new information that could help make massive strides toward a cure for Alzheimer’s disease. 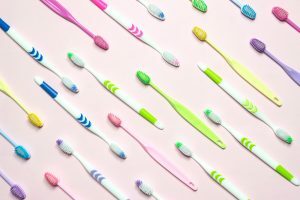 Until recently scientists had noticed a connection between poor oral health and Alzheimer’s disease, but they by and large figured this link had more to do with Alzheimer’s patients forgetting or neglecting to take care of their oral health properly. The study, which was conducted by researchers in both California and Edinburgh, Scotland, developed and proved a new theory: Alzheimer’s isn’t causing poor oral health – poor oral health could be causing Alzheimer’s. To prove this new theory, scientists studied two proteins: amyloid plaques and tau proteins. These two proteins build up in patients with Alzheimer’s disease and have been used by scientists as indicators of Alzheimer’s disease postmortem. Unfortunately, despite their presence in Alzheimer’s patients, before recently scientists didn’t really know what caused these proteins to build up – so they decided to find out. The researchers in the Science Advances study examined the proteins and see if they build up due to outside factors such as bacteria. They began by examining some common bacteria found in Alzheimer’s patients’ bodies. One such bacteria was p.gingivalis bacteria, the bacteria known to cause gum disease. What the scientists found was that the p.gingivalis bacteria released the enzyme gingipain, which tangles the tau proteins found in Alzheimer’s patients. The amyloid proteins, on the other hand, are released to protect the body from the p.gingivalis bacteria. 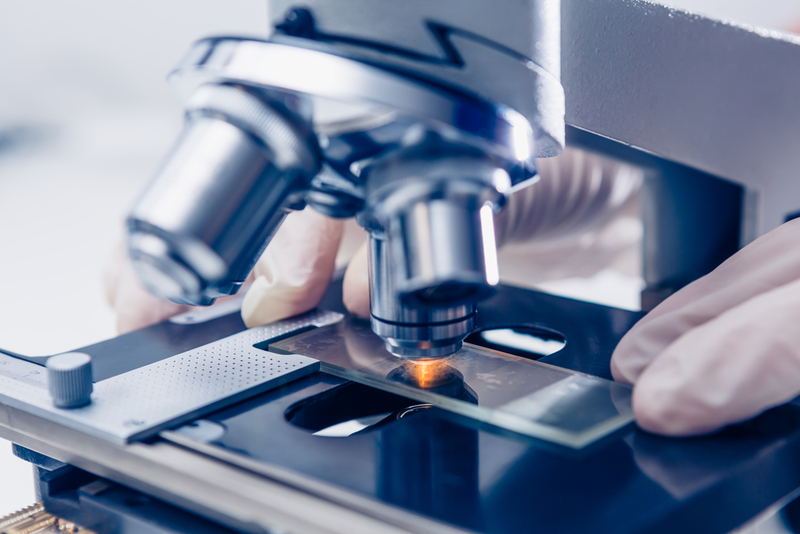 In fact, when mice were infected with p.gingivalis bacteria, scientists noticed that they had higher levels of amyloid plaques and more damaged neurons, proving gingipains are causing the damaged protein responsible for some cases of Alzheimer’s disease. So, what does this mean for you? Well, for starters, more studies need to be done to understand this connection. Researchers are in agreement that this is potentially just ONE cause of Alzheimer’s – in fact, people with healthy teeth and gums can and still do get Alzheimer’s. But it’s also a great reason to start ramping up your oral health routine. That means brushing twice a day for two minutes at a time minimum, flossing and visiting Dr. Lesko for regular dental exams. To schedule your next exam with Dr. Lesko, please call 970-812-0355. With spring almost here and warmer weather on its way, now is the perfect time for a spring cleaning – of your mouth! It may not seem obvious, but changing up your oral health care routine each season is a must to maintain a healthy smile. Here are some things you can do to amp up your oral health this spring. Dr. Lesko recommends you replace manual toothbrushes or electric brush heads every two to three months, and the turning of a new season is the perfect time to do so. 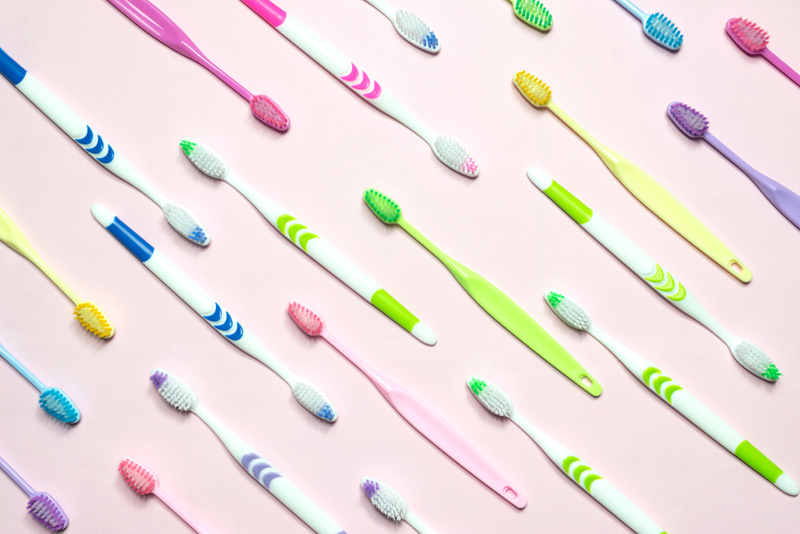 As we use our toothbrush, the bristles begin to bend and become less effective at getting the plaque and bacteria that accumulate on our teeth during the day. Worse yet, that bacteria can build up in our toothbrushes over time. Replacing your brush with a new, clean, straight-bristled brush is a great way to help spring clean your mouth! You may be 100 percent satisfied with your oral care tool kit, but there are new products being introduced to the oral health market constantly. Why not ramp up your oral care routine by swapping to a fresh new toothpaste flavor, or how about trying a flavored dental floss? You can even try changing to a different brand of toothbrush or upgrading to an electric brush. Worn out from the doldrums of winter? Why not do a little something for yourself and schedule a professional whitening that would make the snow jealous. Get a gleaming smile in time for spring, and reward yourself for making it through those cold, gloomy winter months. The start of a relatively new year means more oral health benefits for those who are fortunate enough to have dental coverage. If your policy allows for orthodontics and you’ve been considering getting braces, speak to Dr. Lesko about your options. Another great benefit of a new year is your insurance allowing one or two new oral health checkups. Is it time for a cleaning and exam? When was the last time you had X-rays? Do you have any persistent tooth pain, bleeding gums or inflammation? Now is the time to get it checked out. After all, the sooner you address oral pain and discomfort, the sooner you can start feeling your best. Spring is also a good time to schedule any dental procedures you’ve been putting off. After all, who wants to be sidelined in the summer when you can take care of it now? Fill cavities, get that crown, have that root canal and clear your schedule for that deep gum cleaning – you’ll look and especially feel a lot better.